Beirut: Lebanon is increasingly cracking down on citizens for taking to social media to criticise officials or the way the country is managed. In a country known to have relative freedom of speech compared to many of its neighbours, more and more Lebanese are being called in for questioning by the country’s cybercrime bureau. It is not uncommon for Lebanese to openly criticise or even curse their leaders without fear of reprisal by authorities. However, Lebanon researcher at Human Rights Watch Ayah Majzoub told Gulf News that cases brought against individuals for online criticism more than quadrupled between 2017 and 2018. “In 2018 Social Media Exchange recorded 38 cases of individuals prosecuted for online posts,” she said. “This is an increase from 11 such cases in 2017, and 5 cases in 2016”. The numbers may be small but Majzoub calls the increase “a very worrying trend”. The Lebanese constitution provides the right to freedom of speech under the limits of the law but defamation of a public official is punishable up to one year in prison. However, the word defamation is not clearly defined in the legal text, which is why politicians are exploiting it in an attempt to silence critics. 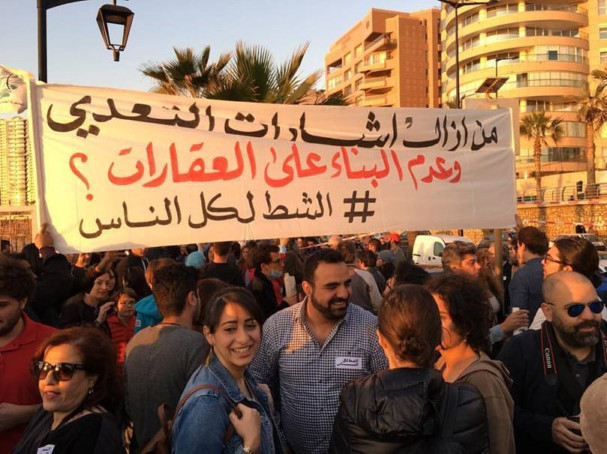 In July 2018, online activist Elie Khoury, took to Twitter to complain about the rising cost of living in the country. In his posts, Elie blamed President Michel Aoun for the high cost of Internet and phone service while complaining of the low quality customers get in return. He was called in for questioning but the bureau later rescinded their request after his lawyer got involved. In another case the same year, online blogger Imad Bazzi was brought in for questioning by the Cybercrime Bureau over his Twitter posts calling for protest against the controversial Eden Bay resort in Beirut. Activists suspect some politicians pushed for the resort, which was built on public land and the circumstances of which the license was given is shrouded in mystery. Bazzi was held for four hours and says he is still under investigation to this day. “The corrupt elite have no tools to silence people except to take away their feeling of safety,” he tells Gulf News. Jad Shahrour, Communication Officer at SKeyes (a center for defense of media rights in Beirut), says the increase in crackdowns directly coincides with when Lebanese president Michel Aoun assumed office in 2016. 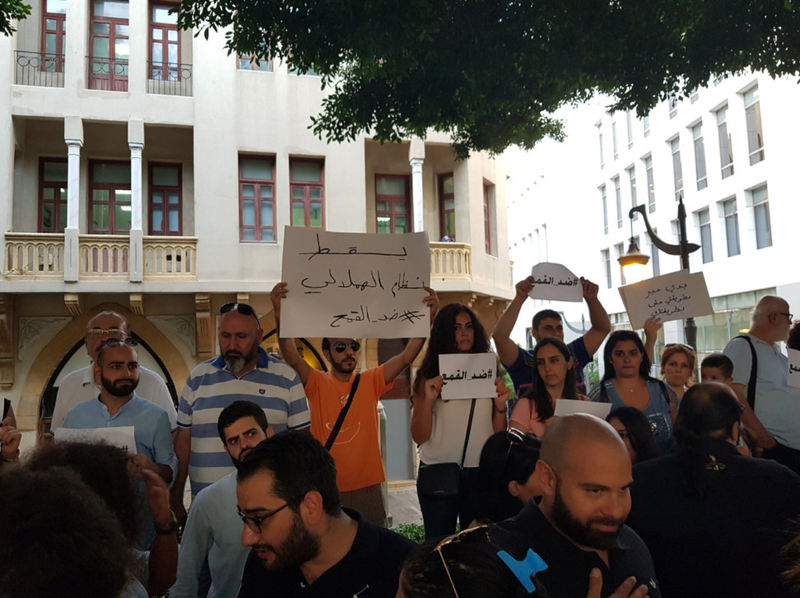 According to the data, 60 per cent of those brought in for questioning were because of complaints from Aoun’s party, the Free Patriotic Movement. Bazzi believes this to be an abuse of power, which hinders the bureau from pursuing genuine cases of cybercrime. Aside from the increase in detentions, the treatment of activists has also worsened. Several cases of abuse have been reported including detaining them for extended periods of time and treating them badly. They are often released on the condition they sign a pledge to stop using social media for a period of time or refrain from criticising certain political figures. The pledges are signed without the oversight of a judge, which violates their right to due process. While online criticism rarely lands activists in prison, the threat of possible prison time has rights groups worried of a chilling effect on public discourse. The state of free speech could take a turn for the worst as two key ministries went suspiciously missing from Lebanon’s newly-formed government: The Ministry of Human Rights and the Ministry for Combatting Corruption. Meanwhile, Human Rights Watch and several other civil society organisations are calling for a clearer definition for the term “defamation”. They are also rallying to make defamation a civil offence, not a criminal one. The UN Human Rights Committee has also requested that Lebanon respect the International Covenant on Civil and Political Rights, a covenant Lebanon endorsed in 1972. The covenant states “harassment, intimidation or stigmatisation of a person, including arrest, detention, trial or imprisonment for reasons of the opinions they may hold, constitutes a violation”.